on Monday, March 11, at 6:30 p.m. in Lecture Center 100. SUNY New Paltz is pleased to announce that Jelani Cobb, the Ira A. Lipman professor of journalism at Columbia University’s School of Journalism, will share insight and expertise with New Paltz students and community members as the 2019 James H. Ottaway Sr. Visiting Professor of Journalism. Cobb, who also has been contributing to The New Yorker since 2012, writes frequently about race, politics, history and culture. He was a finalist for the 2017 Pulitzer Prize in Commentary. Prior to joining Columbia University, he was associate professor of history and director of the Africana Studies Institute at the University of Connecticut. As Ottaway Visiting Professor, Cobb will teach a one-credit course, titled “The First Draft of History,” hold office hours from Apr. 1-12, and participate in a Q & A with President Donald P. Christian on Apr. 11. His seminar will explore the notion of journalism as the “first draft of history:” our early attempts to place current events within broader historical and cultural contexts. The course will offer ideas for how the historical perspective and the tools of the historical trade can be useful to journalists hoping to cultivate a long view of contemporary events. And “Kanye West, Donald Trump, and the Truth about Chicago,” which distills fact from fiction in accounts of urban violence through study of 20th century housing and employment discrimination. 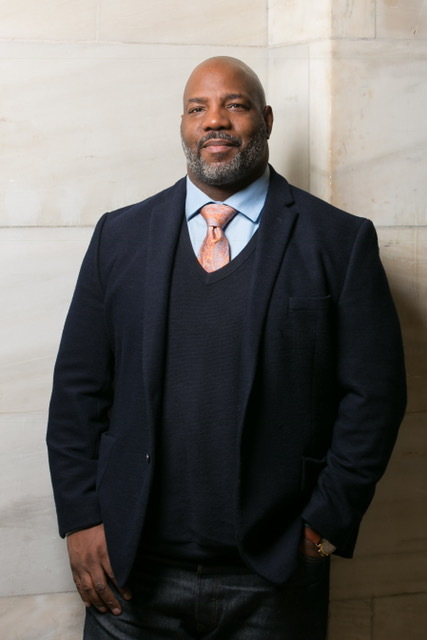 Born and raised in Queens, New York, Jelani Cobb is a graduate of Howard University and holds a Ph.D. in American History from Rutgers University. His most recent book is “The Substance of Hope” (2010, Walker Books), which examines the 2008 election of Barack Obama through the lens of the shifting priorities of the movement for civil rights. He is the 2015 recipient of the Sidney Hillman Prize for Opinion and Analysis Journalism. The James H. Ottaway Sr. Visiting Professorship, SUNY New Paltz’s only endowed professorship, is named for the founder of Ottaway Newspapers Inc., who was a leader of the American Press Institute and a lifelong supporter of high quality journalism in the Hudson Valley and across the globe. The Ottaway Visiting Professorship was established in 2000 through the generosity of James H. Ottaway Jr. and Mary Ottaway ’70g (Elementary Education). James Jr. received an honorary doctorate of humane letters from SUNY New Paltz at the 2018 Commencement Ceremony. Seventeen well-known journalists have preceded Cobb as Ottaway professors, among them Pulitzer Prize winners, foreign correspondents, book authors, editors, investigative reporters and experts in finance, science and consumer journalism. More information about the Ottaway Visiting Professorship, including biographies of previous professors, can be found at https://www.newpaltz.edu/ottaway/.